One of the hits of the year - HTC Desire S. This smartphone is designed with the idea that buyers are middle-priced, too, love the stylish metal smartphones. Attractive appearance, branded envelope HTC Sense and unibody-building, which is made from a piece of solid metal - are the main advantages of this device. In addition, designers have tried to reach a broader market through several color dyes. For a start, it is necessary to digress and talk about what is available in the common market only two color solutions HTC Desire S: Muted Black (muted black) and Grey (gray). The smartphone, which is named Grey, Grey has only metal part of the body, the plastic insert is black. It is these colors casing can be found in Russian stores. But for the European GSM-operator Vodafone, HTC has released Desire S color Crimson Red. This smartphone is painted in red color. Moreover, the color red as a metal body, rubber and plastic inserts. 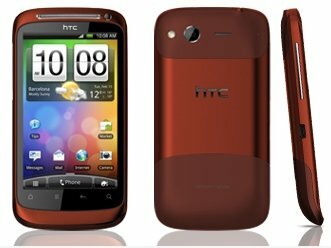 HTC Desire S Crimson Red looks very stylish and flamboyant, the man with the smart phone in your hand will attract the attention of others. Technically, HTC Desire S are the same. They operate on single-core processor Qualcomm MSM8255 1 GHz. The processor also built a variety of modems and video accelerator Adreno 205. The amount of RAM in HTC Desire S is equal to 768 MB. In smarfon integrated 5 megapixel main camera and VGA-camera for video calls. 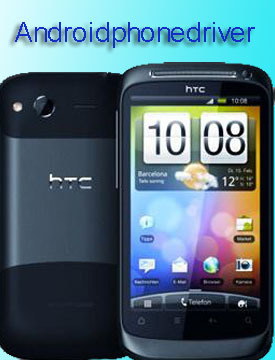 With the latest update to the HTC Desire S buyer will find Android 2.3 and HTC Sense 3.0.